The whole city of Seattle is super excited about the Seahawks' playoff run right now—me included! 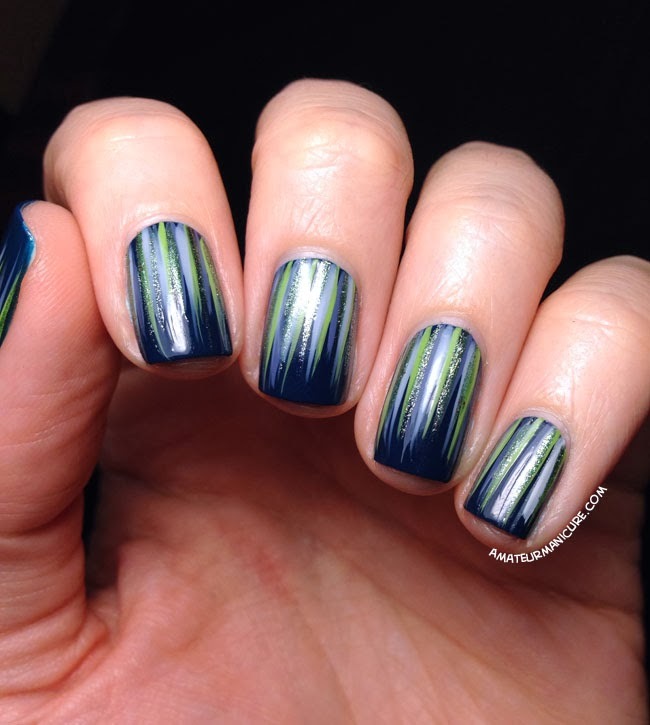 So I decided to try out a waterfall mani (a technique invented and made famous by The Nailasaurus) in Seahawks colors to match my 12th Man jersey and help celebrate the playoff spirit. This was my first time trying a waterfall look on top of a dark base color, so I had no idea what to expect or whether it would even work, but it turned out great! I think waterfalls are really perfect for showing off your team colors because they're genuinely fun and easy to do, and they look impressive paired with a matching jersey or other accessories. 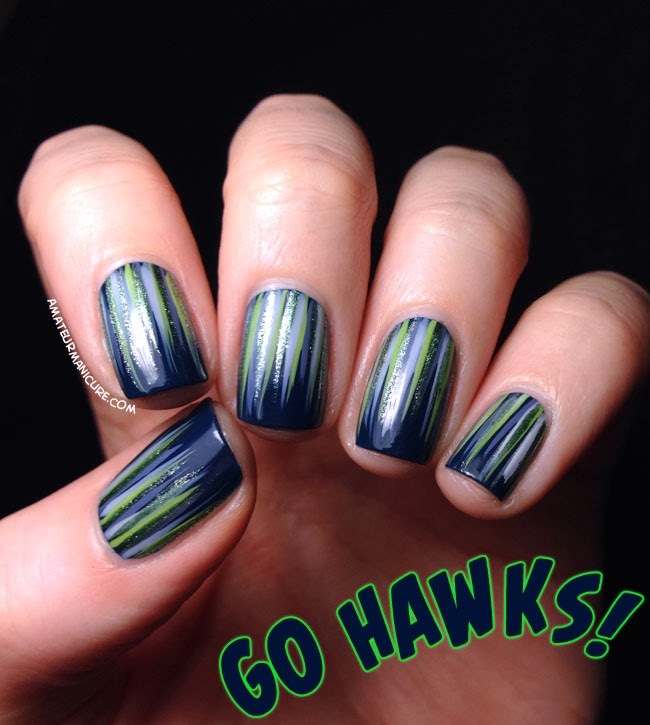 Galathee, It's Totally Karma, and I Saw...You Saw...We Saw...Warsaw are pretty much my go-to polishes when I want to do something Seahawks-themed. Bandana and Rikki were new additions this time, but I love the extra depth and sparkle that they add to the group. 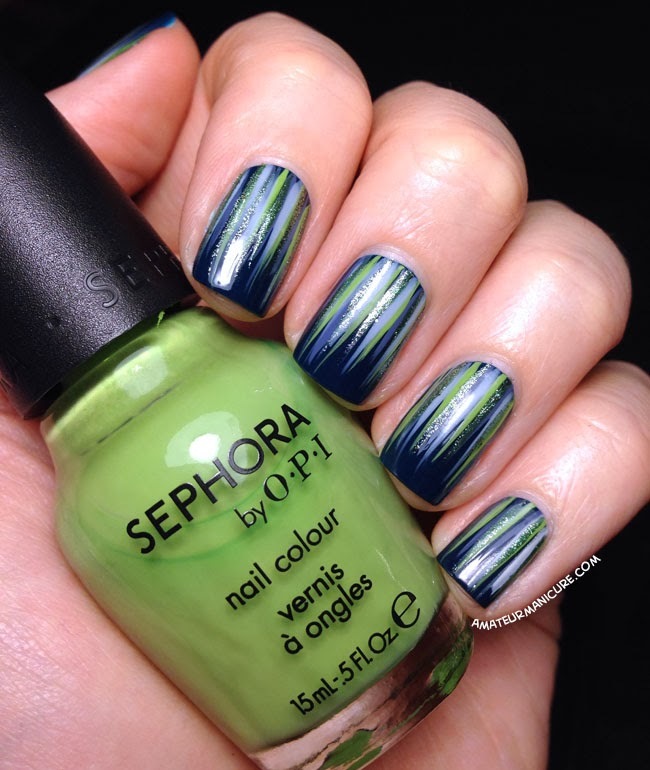 What do you think—do you like the idea of using team colors in waterfall manis? What team's colors would make the BEST waterfall? Thanks for looking! GO HAWKS!